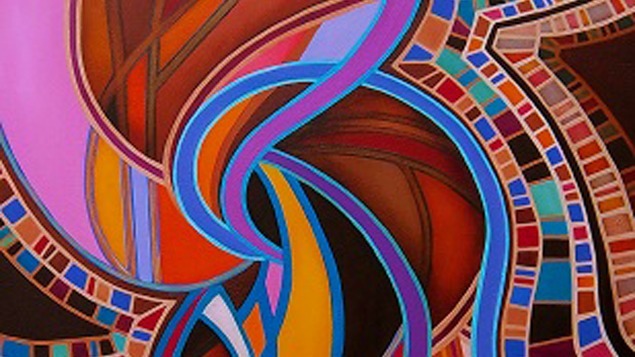 A 2012 graduate of the University of Nevada, Reno’s MFA program, Amerique Powell’s lively acrylic paintings are explosions of color and pattern. Her works bears the influence of late 20th century art movements, particularly Feminist Art and Pattern and Decoration. In the tradition of these movements, Powell dares to paint using a traditionally domestic, “decorative” palette and populates her faceted, abstract environments with signature images of her playful felines. This exhibition is part of the Nevada Museum of Art’s Emerging Artist Series.